Sailor Moon Crystal, the Sailor Moon reboot series that has been emphatically pitched as a new adaptation of the original manga and NOT a remake of the 90s anime, premiered on Saturday. My overall impression: It feels like a remake of the 90s anime. But a good remake. Here, in no particular order, are a few more particular impressions I had during my first viewing. The animation is beautiful. My favorite aspect of the original animation, the over-the-top flowery pink girliness, is still there, and this time around there’s a new grace and elegance to it. The opening theme and transformation sequence are different from the original, but they’re just as enjoyable to watch, and I think they’ll soon become iconic in their own right. The boys are quite crushable. Mamoru Chiba/Tuxedo Mask/Tuxedo Kamen has a spark with Usagi from the beginning that I felt was lacking in the original series, where (imho) their sparring often came across less as romantic tension and more as people genuinely disliking each other. This incarnation of Mamoru feels more endearingly awkward than just plain bitchy. 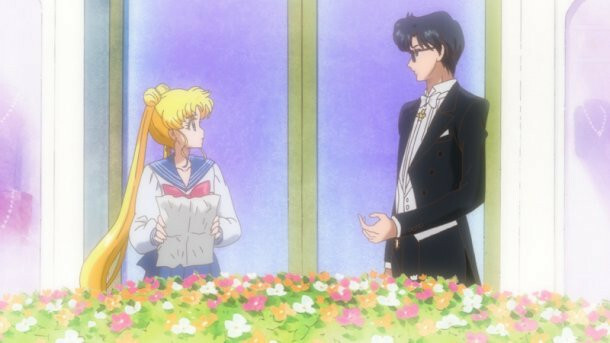 I’m curious to see how long it takes this Usagi to figure out Mamoru and Tuxedo Mask are the same person since he was wearing a freakin’ tuxedo when she met him. 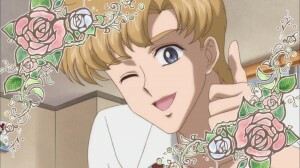 However, despite all of Mamoru’s adorkably romantic charm, Motoki is still my favorite. He’s sweet, attentive, helpful (especially at video games), and he looks like a male Haruka Tenoh. What more could a girl want? Crystal feels more like a cohesive story with an ongoing arc. 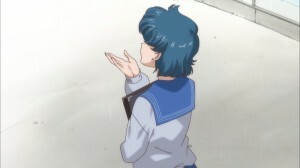 While I did enjoy Usagi’s episodic adventures in the original anime, it took awhile to indicate that it was telling a bigger story than “random kid gets superpowers and fights a new monster every week.” In the new series, the eponymous crystal is introduced as the Magical MacGuffin right away, we get a first look at Ami (Sailor Mercury) before the end credits roll, and those end credits give us a beautiful image of Princess Serenity and Prince Endymion. omg it’s the back of Ami’s head!!! 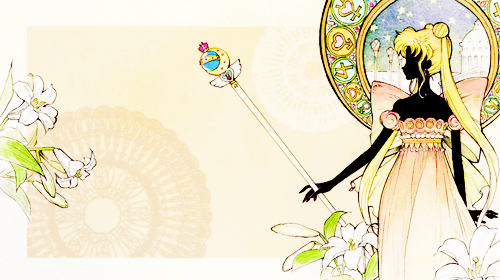 Usagi is still Usagi. Clumsy, a bit of a crybaby, chronically late, and way more interested in video games and shopping than homework. And of course, a hopeless romantic. I’m looking forward to meeting the rest of the Sailor Senshi and watching them fight together by moonlight. Want to check it out for yourself? 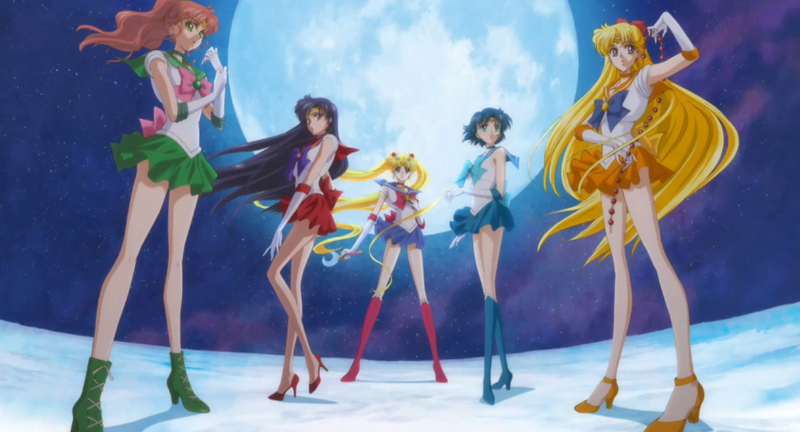 Click here to watch Sailor Moon Crystal on Hulu, or watch the pilot video embedded below.